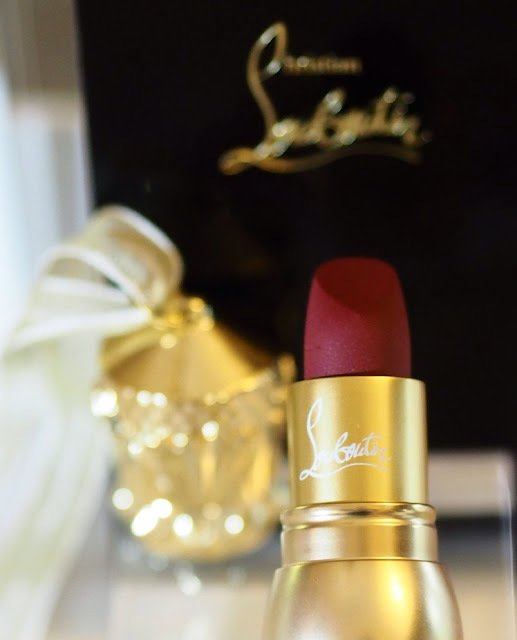 Does the world need a £60 lipstick? More specifically, do I need a £60 lipstick? Objectively, of course, the answer is no. I have a bucketful of Guerlain Rouge G’s which were £32.50 each (though I remember when they were £28, and rather eye-watering then) and a drawer of Tom Fords, which are £38 each. 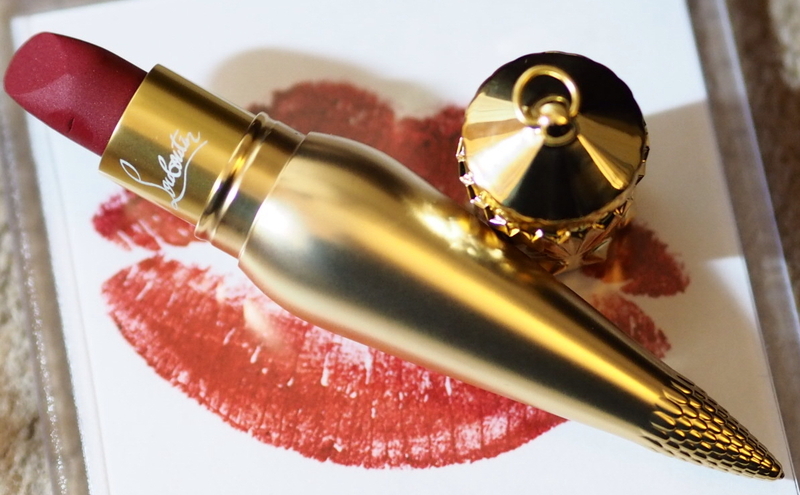 However, when Christian Louboutin launched his super-luxe lip colour collection, offering 38 lipstick shades in three different formulations at a whopping £60 each, I was at least slightly intrigued as to what makes a Christian Louboutin lipstick worth almost twice as much as the two of the other most expensive formulations widely available right now. So I bought one. Like you (okay, I) do. Yes, different lighting to the initial swatch, sorry. 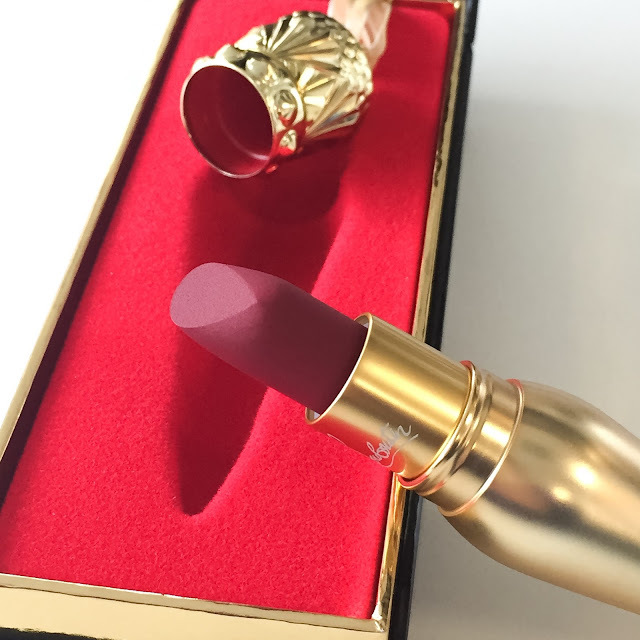 Performance wise, this is a great lipstick, for a matte. I love the colour, and the wear is excellent. So does that make it worth sixty of my hard-earned pounds? Going by the press release, which promises a wear time of four hours, and moisturisation for the same period, I’d say that it significantly over-delivers on these promises actually, which is a refreshing change. However, the press release is irritatingly vague on the makeup of the “complex of natural oils and seed butters” that make up the formulation – and the brand haven’t replied to my requests for further information about ingredients, either, annoyingly! I like to know what makes an expensive formula expensive! I have a tendency to assume, when a brand is this cagey about what’s in a formulation, is that there is actually nothing special about the formulation per se, and we’re expected to love the product unreservedly just because of the name that is on the box. Bearing in mind that I can’t find (and the brand won’t provide) any information as to why the formulation may be mindblowing, we have to take a closer look into the packaging, which is beautifully unique, but doesn’t come without giving me reservations to the price. 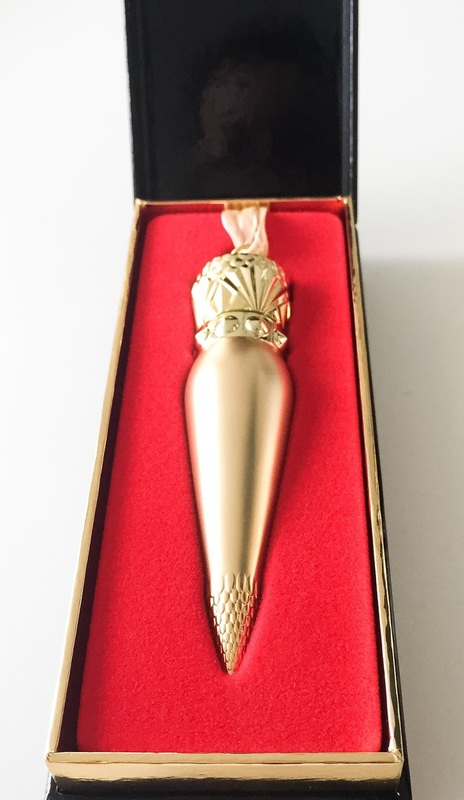 Designed as both a cosmetic item, and as a collectible “objet” in its own right – a piece of wearable art that the owner can wear as a necklace, it can’t go without comment that it’s an absolutely stunning piece. 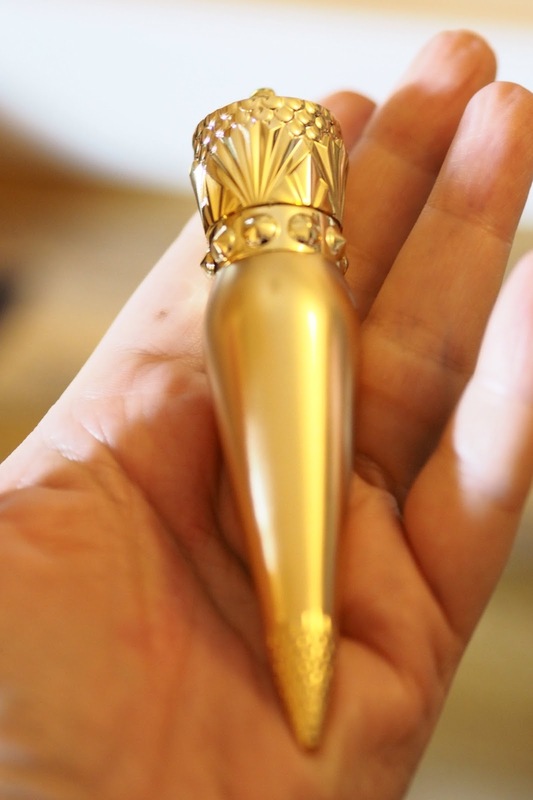 Visibly inspired by both Art Deco and middle eastern influences, the “ergonomically” designed case is heavy, and feels great in the hand (however, if the whole thing had been ergonomically designed, the pointy bit on the lipstick bullet – at least of the matte formulation, anyway – itself would have been at the top of the slant, not the bottom, to aid a neater application, but that’s by the by) and it easy to use. But to me, lipstick casing aside, it is fairly clear that some corners in the packaging have been cut in the name of economy, which is a real shame. The lid of the lipstick, for example, is plastic and I was disappointed by this as it cheapens the whole thing. This isn’t to say that the lids aren’t pretty, of course. 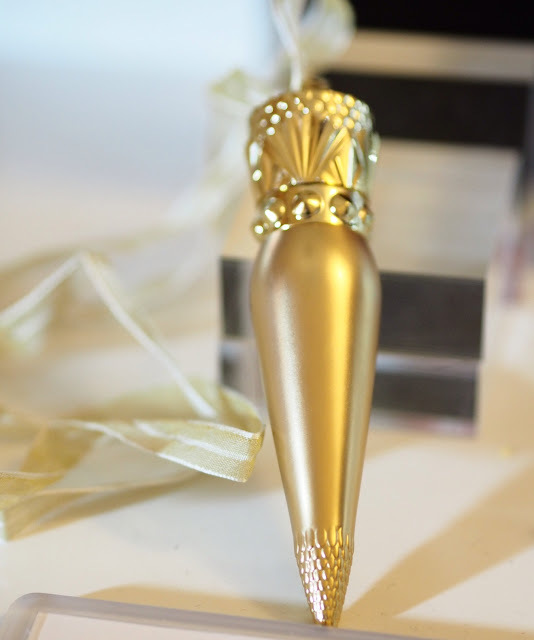 Their deco-styling is gorgeous, but they are too light and flimsy to complement the heft and weight of the lipstick itself. I suspect they’re made of plastic so they can be moulded into the design and that the weight of a metal lid would be too much to enable the lipstick to be worn as jewellery with the supplied ribbon. 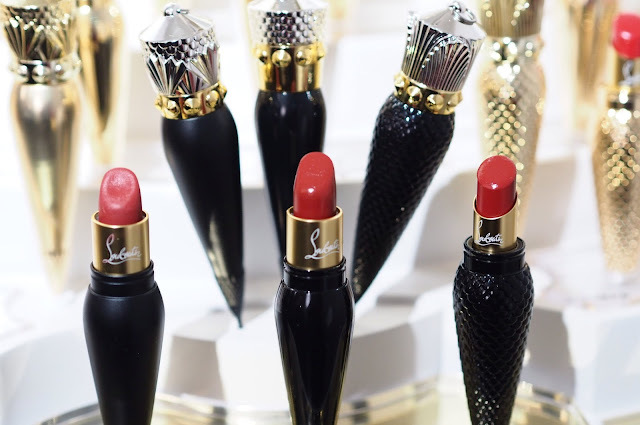 However, the Louboutin lipstick packagings are actually slightly lighter than, say, Guerlain Rouge G’s, and the Guerlains are half the price. No lipstick, no matter how weighty which costs £60 has any business having a plastic lid on a metal case in my eyes. Go all-metal, like Guerlain (which even provides you with two mirrors, built in! ), or go all faux-Bakelite like Tom Ford (both of which are a lot cheaper) and just have done with it. A heavy metal case and a light plastic lid just makes it look like you were trying to save cash. The ribbon itself is the cheapest, flimsiest bit of organza possible, the kind where you get 25 metres for £3 or so from the market (I have a couple of rolls of it here myself for gift-wrapping), but admittedly there are some crimped aglets at the end, ostensibly to make using it as a necklace easier. However, the combination of an extremely light lid, and quite a heavy case alongside a very thin and flimsy ribbon would make me hugely nervous of wearing the lipstick as jewellery (as intended), and I’d be terrified of the lid’s plastic loop snapping, the ribbon fraying, or the case just being too heavy for the whole shebang and dropping out. I’d have expected a plaited silk cord rather than a cheap and tatty-seeming ribbon to actually properly bear the weight of the lipstick. The gorgeous black and gold lacquered box is a nice touch, but again, such a shame to see the innards covered in (cheap and) nasty red flocking rather than more lacquer, like Louboutin shoes themselves, or even a satin lining to protect the case. The lipstick also comes with an organza pouch to protect it from knocks and bangs in your makeup case, but again, this just looks cheap (I’ve bought stuff from eBay for literally pennies that came in the same pouches) in the context of the lipstick. Also, the shade names are left off the case altogether, which, if you’re a collector, and don’t keep them in their boxes will be an annoyance. Yes, yes, I’m being nitpicky. But still, if you’re buying a luxury product, you expect luxurious touches, and if you’re buying a lipstick for £60, then the peripherals are far, far more important than they would be if you were buying a £6 lipstick. No one cares if the lid on a lipstick that costs the same as a sandwich is plastic. But if your lipstick cost more than your shoes (and hell yes, I wear shoes that cost less than this lipstick did), then dammit, you want the full package. Excellent lipstick though this is, it really isn’t the full package, and that is disappointing. Makeup free aside from the lipstick, and bushy-browed. No, you shut up. So, to bring me back to my original question: do I think the world needs a £60 lipstick? 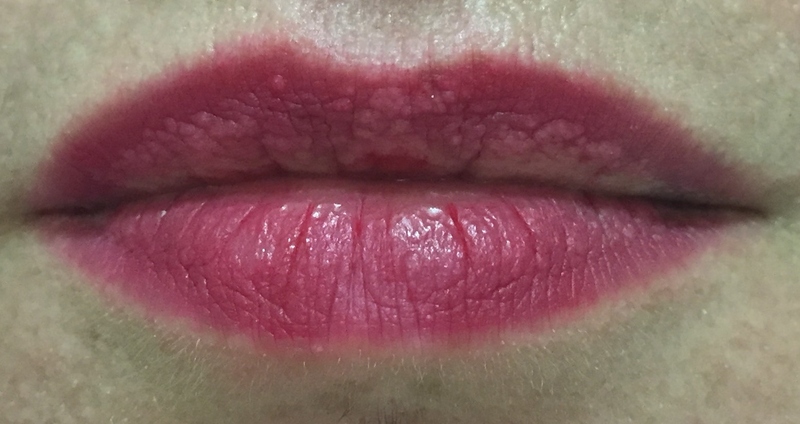 No, I don’t think any lipstick formulation is worth a £60 cost to the consumer, unless it really is made of unicorn tears, or is damn well guaranteed to give the wearer orgasms on demand, frankly. That said, this is a damn good lipstick, but the corner-cutting on the packaging just really takes the luxe edge off, and that’s a damned shame. For people who routinely drop money on Louboutin shoes, however, I doubt any of this will matter. If you’re buying it because you love Louboutin and can’t afford the shoes then the lack of frills may or may not bother you, because it looks good, and it’s got the names in all the right places. You’re paying for the name, of course. But bear in mind that at the end of the day this is just a lipstick (albeit quite a good one), and in this case, you’re paying a LOT more than maybe you need to for the name. 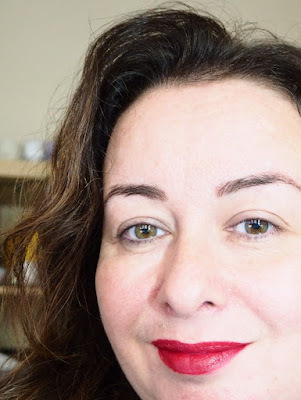 If you’re considering this as your first proper introduction into super-high end lipsticks then do yourself a favour and pick up a Guerlain Rouge G which is just as good and comes in at half the price. In a blind test, you probably couldn’t tell the difference. However, if you have one on your Christmas list, or get one for a birthday, you’re probably going to love it. I do like the one Louboutin lipstick that I have, very much. But I won’t be buying another one unless it is in a colour I simply can’t replicate anywhere else and it is totally perfect. Because, for me, £60 on a not-quite-right lipstick is £60 too much. I totally agree. I purchased one and returned it. The cheap cap turns me off the product all together. I thought it would have been metal as well and magnetized to latch on to the tube for a secure fit. I think it is a slap in the face to cut corners and expect "followers" to pay a whopping $90.00, just because of the name.